MAINTENANCE FEE STARTS 2020. FLOAT WKS 22-27 & 36-50. Internet is a great tool and provides various sites and links for more information on usage, resort and units. SWING SEASON. Available Usage Year. MARRIOTT SUMMIT WATCH. WEEK 32 FLOATING GOLD SEASON WEEK 24-38. WEEK 32 FLOATING. Usage: FIRST YEAR USE 2020. Upon receiving your signed contract and deposit, we will submit the contract to the resort so they may begin their Right Of First Refusal (ROFR) process. Spend Your Points At Over 60 Locations. Annual Credits 7,000. Mortgage Status Paid in Full. Award Month September. (from next award) 7,000. Available To Borrow. (without borrowing) 7,800. CLUB WYNDHAM ACCESS. Anniversary:JAN 1st (If you are an existing Wyndham owner this contract will revert to your current anniversary date). Club Access is basically a Wyndham Vacation Club. Wyndham Flagstaff. MAINTENANCE FEE STARTS 2020! Internet is a great tool and provides various sites and links for more information on usage, resort and units. Available Usage Year. Usage Type FIXED. Usage Interval ANNUAL. Sheraton Vistana Fountains. 2019 Use Available and. 2019 Maintenance Fees already paid! Living area with sleeper sofa. 2019 Maintenance fee PAID! 2019 Maintenance Fee! annual week 22; float weeks 5-35/ 40-47/ 50-52. WYNDHAM OCEAN RIDGE. If you are a current Wyndham owner, this contract anniversary date will revert to your current anniversary date. Wyndham Ocean Ridge is surrounded by 300 wooded acres and close to the Atlantic Ocean. Sheraton Flex Vacations. 51,700 Sheraton Flex Points. Sheraton Flex empowers you to relax. Points can be used anywhere in the Sheraton Flex Vacation Plan network! Yet all help make the most of your stays with genuine hospitality, inspired spaces and engaging local activities. VISTANA BEACH CLUB. On the sands of one of the pristine, unspoiled beaches on Florida’s Treasure Coast, this Vistana Beach Club is surrounded by endless natural beauty. And, just a short drive away, you’ll discover the classic luxury of Palm Beach. LAGO VISTA, TX!! OVERSEEN BY LICENSED BROKER!! Lifestyles Holiday Vacation Club All-Inclusive Resort 25 Weeks only 140 a week.! (This resort has everything you could want in a vacation, from ocean views and sandy beaches, to snorkeling, tennis or jogging. if you use it yourself. 9) that is per week up to 4 people.its total (NOT) per person. Your points are yours to use however best fits your vacation needs. DIAMOND POINTS. Vacations should be easy, fun and unforgettable. Internet is a great tool and provides various sites and links for more information on usage, resort and units. 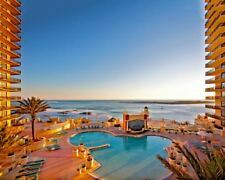 WYNDHAM OCEAN WALK 126,000 ANNUAL POINTS TIMESHARE FOR SALE! POINTS AT MULTIPLE RESORT-LICENSED BROKER!! 10,000 UNUSED CREDITS AVAILABLE, AUGUST USE YEAR. MAINTENANCE FEE STARTS 202 0. Park Plaza Resort is a family friendly all-suite condo resort located in the center of Park City, Utah. This laid-back property is 1.3 miles from Park City Golf Club, 1.6 miles from Park City Mountain Resort and 32 miles from Salt Lake City. PONO KAI RESORT. Upon receiving your signed contract and deposit, we will submit the contract to the resort so they may begin their Right Of First Refusal (ROFR) process. Kitchen in all rooms. Resort Approval/Credit Application. The resort features many activities and is less than 3 miles to the downtown Branson, MO shows, activities, and more. Your Branson, MO vacation gets even better! You can also count on a variety of live shows in Branson, with more than 50 theaters, and plenty of family attractions. Enjoy San Diego from the perfect location in downtown's historic Gaslamp Quarter, with its vibrant dining and nightlife scene. GASLAMP PLAZA SUITES. SIZE Studio Unit, Floats. Annual Usage. (The pictures in this ad are general in nature). NEXT DOOR TO DISNEY!! USE IN 2019!! This is a one Bedroom, Ground Florr Beachfront unit in the Wealdstone Bldg. Unit 4114 Week 7 for Inventory Purposes only. Usage is week 1-50 based on availability. 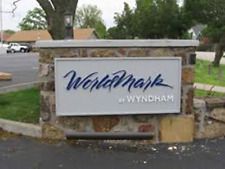 Worldmark By Wyndham, 12,000 Annual Credit account with an April anniversary. Priced below current market for Worldmark. 28,100 unused credits available for usage plus another 12,000 to borrow.